Upon sign up, we will send you our richly detailed Climber Information Package. Flight to Mexico City, early afternoon arrival (not evening). We’ll begin with a thorough equipment check and orientation at our hotel, including a discussion of Leave No Trace practices. After a nice dinner in the neighborhood near our hotel, we will spend the night in Mexico City and rest up for our first climb. After a hearty breakfast, we will tour the Museum of Anthropology, the national museum of Mexico. Considered by some to be “a national treasure and a symbol of identity”, the museum contains an excellent selection of archaeological and anthropological artifacts from Mexico’s pre-Columbian heritage. From the museum, we will drive to the small town of Amecameca (8,200 ft.). 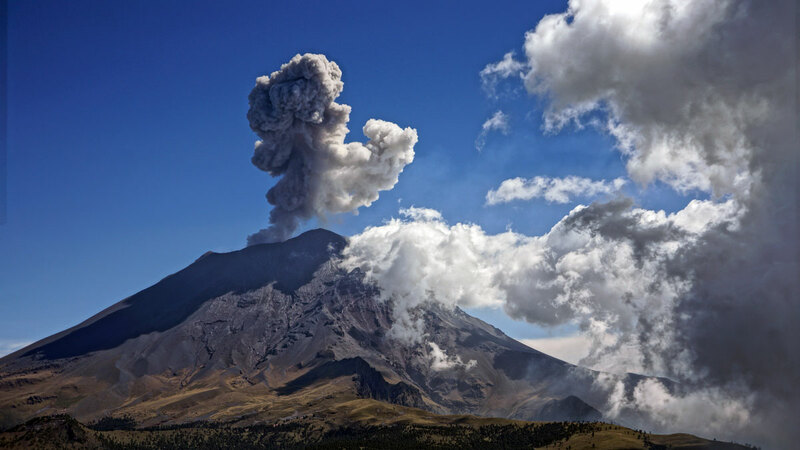 Situated in the highlands, Amecameca rests at the base of Volcanoes National Park, along the foothills of the mountains. We’ll have lunch and spend part of the afternoon enjoying this beautiful traditional Puebla town. The people in this region are known for their warmth and hospitality. The marketplace is filled with foods and spices indigenous to the area, while the surrounding countryside is covered by rich vegetation. After final preparations, we’ll drive to La Joya (12,200 ft.). our Base Camp, for our first objective, Iztaccihuatl. We will overnight in tents during this first phase of acclimatization, either at the Altzimoni Hut (space permitting) or La Joya. 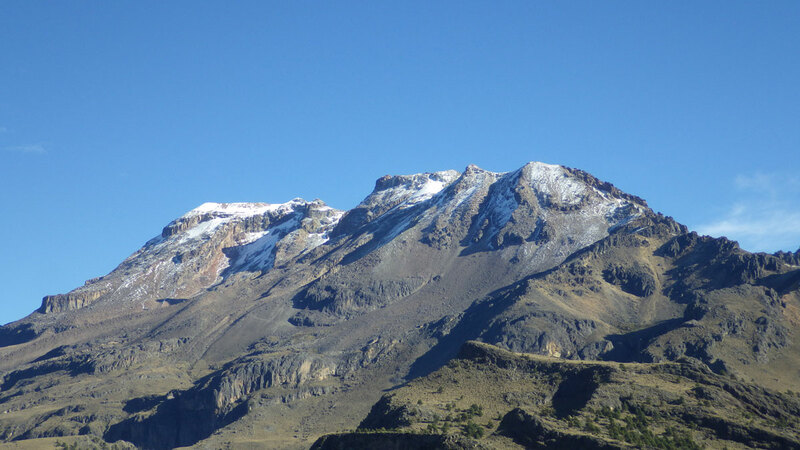 We’ll actively begin our acclimatization today and then return to spend the night once again at the Altzimoni Hut or La Joya. 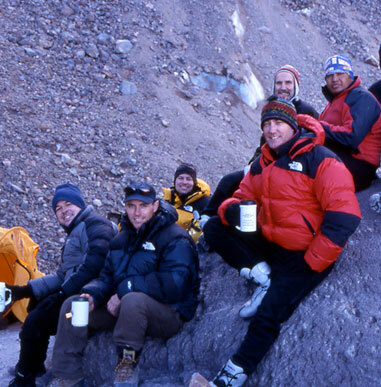 We’ll spend the rest of the day relaxing and prepare to move to our High Camp. 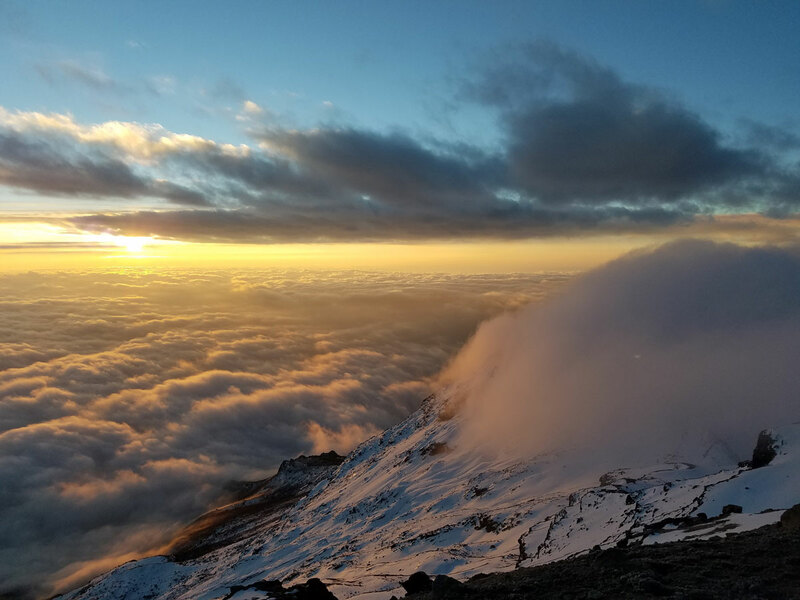 We’ll break camp, load our packs, and slowly climb above 15,000 ft., where we’ll establish a High Camp and prepare for our summit bid and early morning summit departure. We will depart for the summit of Iztaccihuatl (Sleeping Lady) in the pre-dawn hours via the Ayaloco Glacier. On clear mornings, the sunrise has proven to be exquisite and will find us climbing high on the mountain. Depending on conditions, might don crampons and ice axes for the upper regions of the volcano where we’ll encounter an easy rock ridge, navigate across ice cliffs, and finally traverse into a couloir just before our final push to the summit. Viewing the terrain, it is easy to visualize the geologic cataclysms that created these giant mountains and look across to Popo, keeping watch over the sleeping lady. By late afternoon we’ll return to La Joya and drive to Puebla for much-deserved showers and rest. 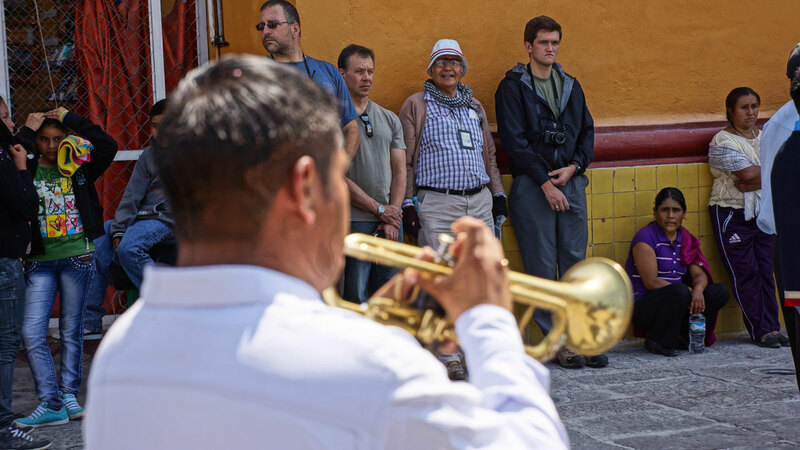 We’ll take a rest day in the colonial town of Puebla and visit local market, shops, and cultural sites such as churches and other prominent buildings in the town. Midmorning, we will drive out to Cholula to visit the largest pyramid in the world. Later, we can do some laundry at our hotel and relax by the pool while we organize equipment and make preparations for the early morning wake-up and following day’s journey to Orizaba. 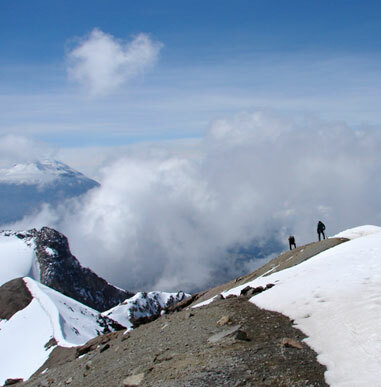 Our second objective is Mexico’s highest mountain, known as Citlaltepetl or El Pico de Orizaba (Mountain of the Star). 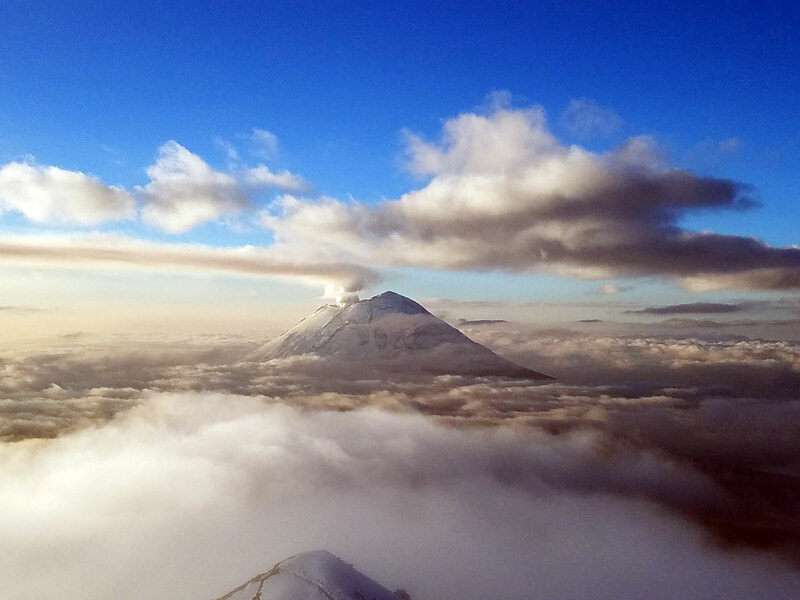 At 18,850 ft., it stands almost 1,000 ft. higher than legendary Popo. 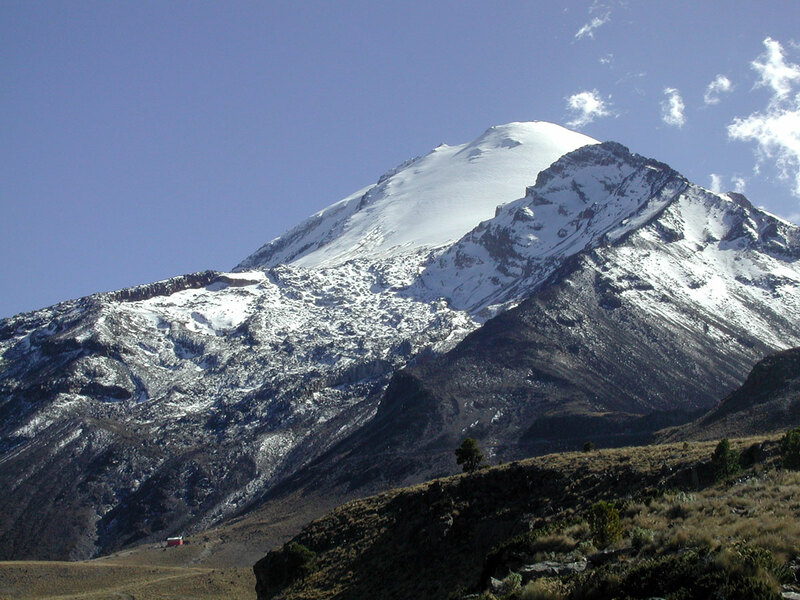 We’ll drive to Tlachichuca, where we’ll meet our outfitter and load our gear from transport vans into rugged 4x4s for the drive to our Base Camp at Piedra Grande (14,000 ft.), the lower slopes of Orizaba, where we’ll spend the night. We’ll sleep in and enjoy a leisurely brunch followed by an acclimatization hike. We will spend the rest of the day relaxing, hydrating, and fueling to prepare for our summit bid the next day. Depart for country of origin. 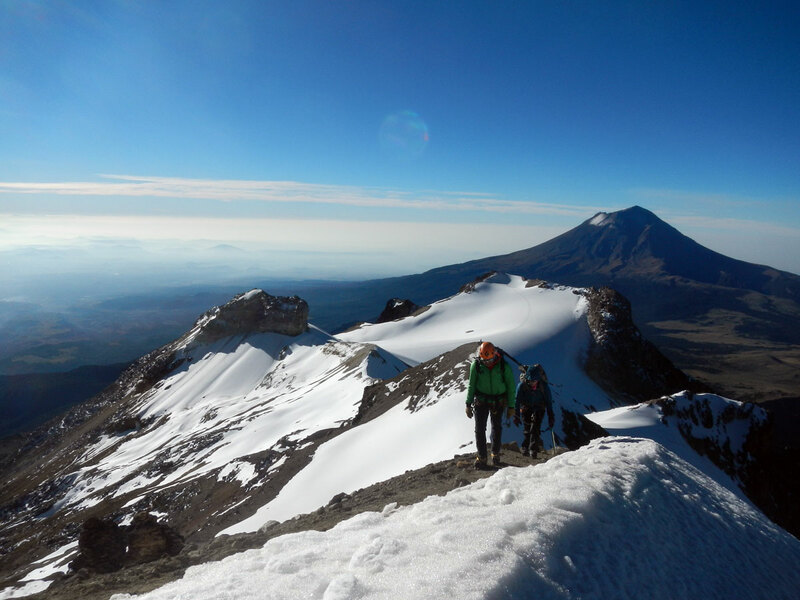 In the instance of poor conditions on Ixta, we will attempt an alternate itinerary consisting of a three-summit climb (Nevada de Toluca, La Malinche, and Orizaba) without Ixta. 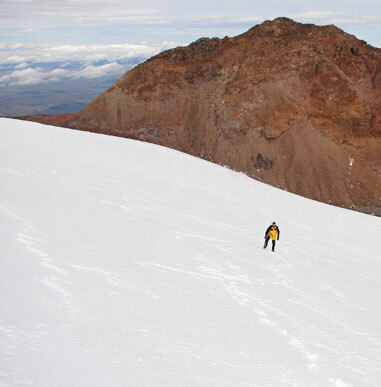 In case of poor conditions on Ixta, we will attempt an alternate itinerary consisting of a three-summit climb (Nevada de Toluca, La Malinche, and Orizaba). Arrive in Mexico City early afternoon. We’ll spend the evening visiting Mexico City’s central square, which includes the Metropolitan Cathedral and various federal buildings. We’ll have a nice dinner near the square, then prepare for our first climb. We’ll also have a thorough equipment check and orientation, including discussion of Leave No Trace practices. We will drive toward the town of Valle de Brava where we’ll have lunch at an outdoor restaurant. Along the way we will visit an area with a large population of monarch butterflies. After lunch, we drive to High Camp at around 11,000 ft. at the base of Nevada de Toluca and stay in a refugio. Departing early, we will drive to around 12,500 ft. near the Lakes of the Moon and Sun and climb to the 15,500-ft. summit of Nevada de Toluca. We will then return to our van and drive to the town of Valle de Brava (the adventure sports capital of central Mexico), have dinner at a restaurant in Valle de Brava, and then stay at a hotel. We’ll have lunch at a Hacienda and continue -style beds. We can do a short hike if the members of our group are feeling up to it. We’ll have a home-cooked meal and go to bed early. 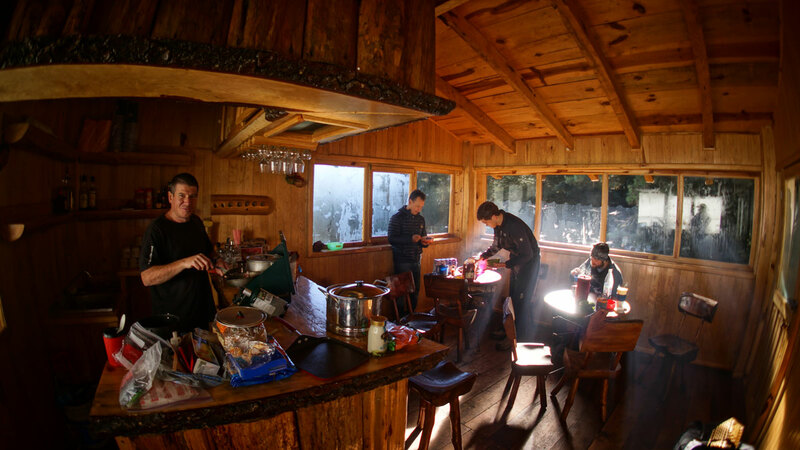 Rising early, we will have a home-cooked breakfast before leaving for the summit to La Malinche (14,500 ft.) We’ll be back in the late afternoon for a home-cooked meal. We’ll drive to Tlachachuca to meet our 4×4 driver, then continue to the refugio at Piedra Grande, 14,000 ft.
After a leisurely morning, we’ll move up to 15,600 ft. to our High Camp, and go to bed early. Wake up early and summit Orizaba. 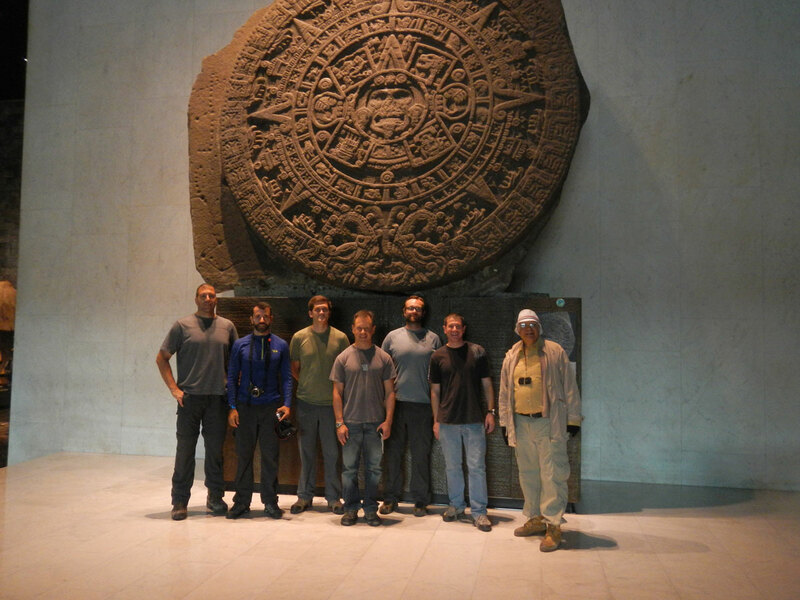 Next, we travel to Tlachachuca, then continue on to our hotel in Puebla. After a half-day of sightseeing in Puebla, we will drive to Mexico City for a group dinner. This trip exceeded my expectations. We received first class guides, food, hotels and service.